Tourbillon Watches - What Are They? Tourbillon Watches – What Are They? Some two hundred years ago, watchmakers had a great deal of difficulty creating accurate timepieces. A lot of that can rightly be attributed to the lack of precision in their craft; they simply didn’t have the ability to machine their parts to the fine degree that truly accurate timekeeping requires. 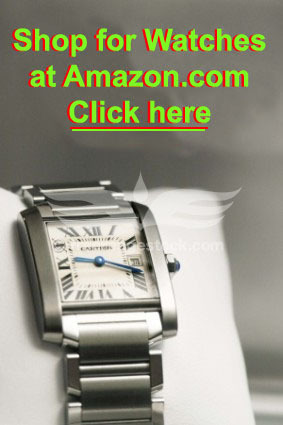 Another part of the accuracy problem was determined to be the effects of the positioning of the timepiece. They seemed to run accurately enough when held in a fixed position, but when moved, especially when moved repeatedly, problems with accuracy would pop up. Swiss watchmaker Abraham-Louis Breguet thought the problem might have something to do with the effects of gravity on the watch movement, and he set out to come up with a solution. What he came up with was rather complex, and the resulting device, which Breguet had patented, was called a tourbillon (pronounced TOUR-bee-yon). The tourbillon attempted to overcome the effects of gravity and positioning by putting portions of the watch movement, the escapement and the balance wheel, inside of a rotating cage. This cage typically would rotate once per minute, and because the position was uniformly changing, rather than changing randomly, the effects of gravity and positioning could be reduced. This led to more accurate timepieces, though it’s hard to say if improvements over time came as a result of the introduction of tourbillon watches or if the ability to more accurately machine parts was a factor. Regardless, clockmakers, and eventually watchmakers, began to incorporate the device into their timepieces, and not just for accuracy. The tourbillon is a very complex mechanism and not everyone had the skill or manufacturing capability of producing clocks that had them. This quickly separated the better clockmakers from the also-rans in the industry. The device never became mainstream, due to its complexity and because of this, only the very wealthy and royalty were able to afford these highly accurate and extraordinarily elaborate clocks. The complexity of the tourbillon was such that even though the concept was patented in 1801, it took more than one hundred and fifty years for a tourbillon to find its way into a wristwatch. Swiss watchmaker Omega put one in a dozen pieces they manufactured in 1947 for a Swiss Observatory Chronometry competition. They decided that in their quest to make a highly accurate mechanical timepiece, a little extra something was necessary and they chose to add a tourbillon. It apparently worked; as they won the competition. This did not lead to a revolution in wristwatches, however, as Omega’s tourbillon adventure seemingly ended there. It wasn’t until the mid-1990s that the company decided to incorporate the device into newer models, and even then, they put them in models that were produced in astonishingly small numbers. 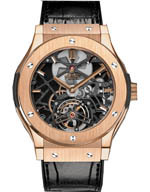 Their only current model to contain a tourbillon has been created in a limited edition of only eight pieces. There are a few other companies that manufacture at least one model containing a tourbillon; those companies include Hublot, Cartier, and Patek Philippe, which makes quite a few of them. Why so few? Because they’re very hard to make, requiring the addition of a number of additional, finely crafted parts and finding a way to shoehorn them into a case that’s usually already full. As the device itself is rather fascinating to watch, most watchmakers that produce models with a tourbillon include either a window in the watch face to display it or incorporate it in a “skeleton” model with a transparent face so that you can see it along with everything else inside. Is a tourbillon even necessary anymore? With the advent of quartz movements in the 1960s, wristwatches became more accurate than ever before, and today, models are available from a number of manufacturers that can synchronize themselves with government-operated atomic clocks around the world. This allows the timepieces to be far more accurate than a watch with a mechanical movement could ever be, so why would anyone bother to make tourbillon watches? The short answer is, “Because they can.” There’s more to a high end wristwatch than timekeeping, and many models incorporate a lot of features that really aren’t that useful, and that’s particularly true of models known as “super complications.” Part of the art of watchmaking and part of the appeal to collectors is the ability of the maker to incorporate lots of highly complex features into their timepiece. No one really needs a wristwatch that can display the phases of the moon, yet many models offered for sale in the twenty-first century feature those, and others offer equally useless but fascinating features such as displaying the date of Easter, offering a celestial chart, or displaying sidereal time. These features aren’t included because the makers think they might be of use to the buyer; they’re included because including them makes the watch all the more complex, and watch collectors love overly complex mechanisms. The problem with tourbillon watches for consumers is that they are complex, they are necessarily included only in watches with mechanical movements, and they are therefore going to be both expensive and limited in production out of necessity. No company is likely to be able to sell thousands of such timepieces annually, and as a result, they remain niche products, often produced in super-limited quantities, if only to remind the public that the company is capable of producing such a timepiece. That’s why Omega regularly produces a watch containing a tourbillon, yet makes so few of them that they’re practically nonexistent. You can see them on their Website, but you’re unlikely to find one for sale and your even less likely to be able to afford to buy one, provided that you can find one. Companies such as Patek Philippe do produce a number of models that contain a tourbillon, but everything that company makes is limited in production and all of their watches are very expensive. Other companies, such as Cartier, Zenith, IWC and Hublot, only produce one or two models, using them much as Omega does, simply to remind us that they’re capable of producing such a complex device. 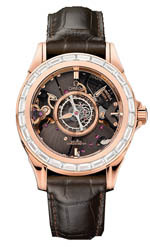 The market for tourbillon watches has been upended a bit in recent years, as a few Chinese movements have been produced that contain them, and these have been offered for sale at much lower price points. 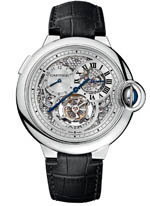 While watches containing a tourbillon have traditionally sold for upwards of $20,000 and for even as much as $500,000, we have seen models with these Chinese movements for sale for less than $2000. If you buy one, you’ll be getting the real deal, though you’ll likely be buying a brand name with which you’re not overly familiar and you certainly won’t be wearing anything that carries the weight that comes with wearing a Cartier or Patek Philippe on your wrist. 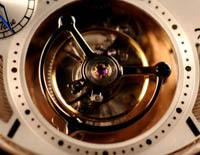 Still, even in the twenty-first century, the tourbillon remains a marvel of engineering.